Me and My Thoughts: Spread Your Wings & Fly! Today I'm super excited to be Guest Designing for Top Dog Dies. Top Dog Dies is also doing a GIVEAWAY for the whole month of April. Everyone who comments on my blog will be entered for a chance to win! 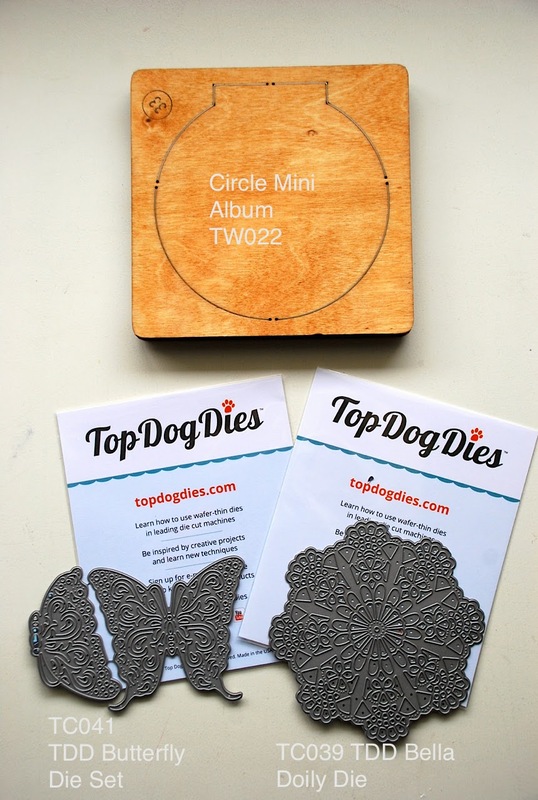 The winner will receive $50 worth of exclusive dies from Top Dog Dies (their choice!). All you need to register via the Rafflecopter app on the page to enter. Deadline to enter will be Wednesday, April 30 at midnight Central Standard Time. Top Dog Dies sent me 3 different dies. (shown in picture below). At first glance I was all set to create a mini album because, after all, that's what the die was intended for. But I decided that was too simple and expected to I decided to use it on a layout instead. So here's what I created. I cut out 3 of the doily shapes from white card stock and layered them on the background papers. I cut out the butterfly shapes from some Imaginisce patterned paper (Welcome Spring) . I added some rhinestones to the centre of the butterfly bodies. I cut out 2 of the circle mini album shapes from patterned paper and used them to create a 'flap' to reveal another photo below. (you could easily add more photos & journaling here). (on the Top Dog Dies I'll share I attached the layers together). If you hop on over to the Top Dog Dies blog I have a tutorial of this project posted there. 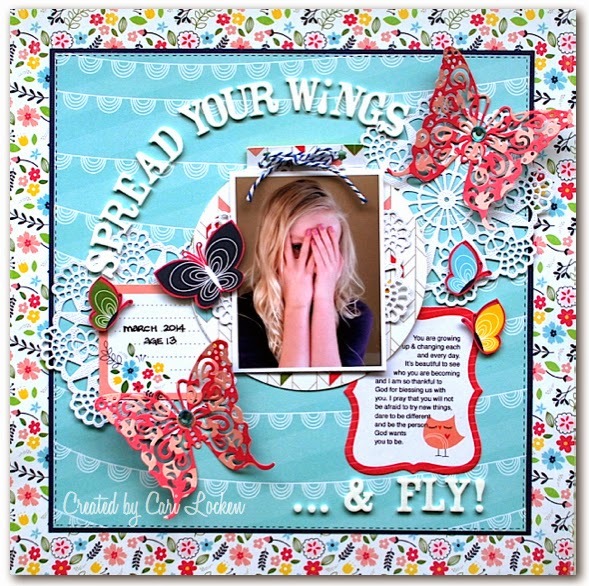 Don't forget to leave a comment her on my blog for a chance to win $50 worth of TDD exclusive dies! What beautiful cuts on a great layout! 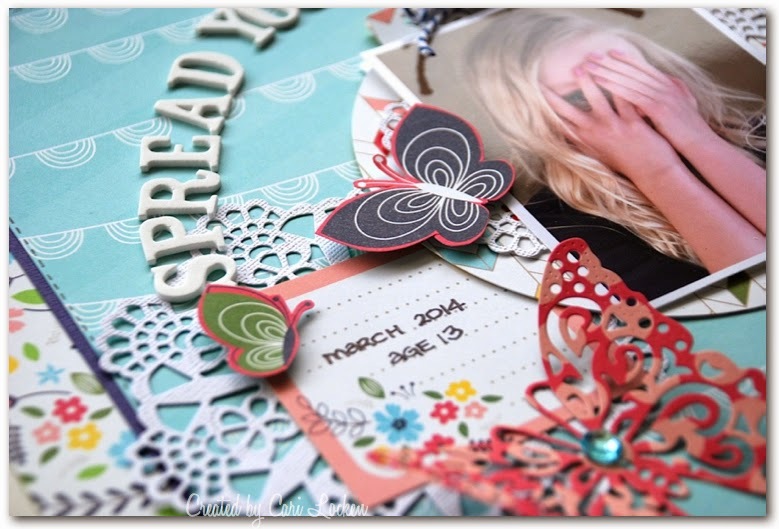 Beautiful layout--love how you used these dies. 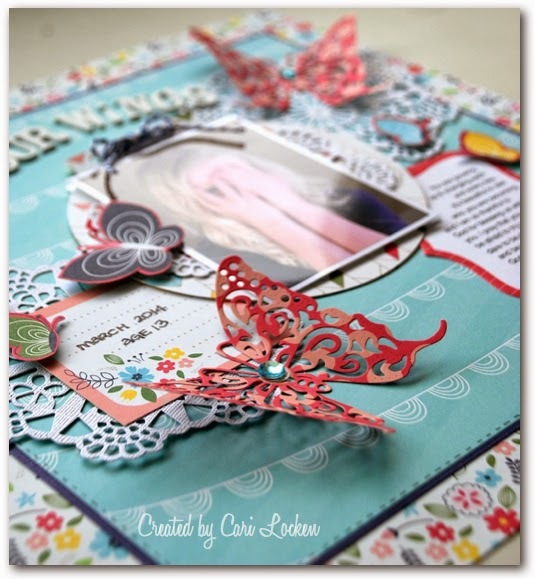 Gorgeous dies and a fantastic layout! Very beautiful dies. Love them. 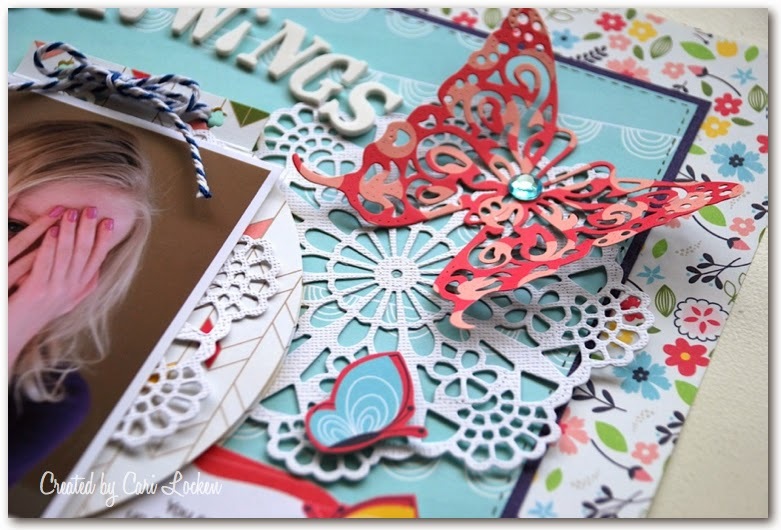 Wow, I love what you did with those dies - the butterflies are stunning! !